Snaebjornsdottir, Bryndis and Wilson, Mark (2014) Safe passage to the promised land. 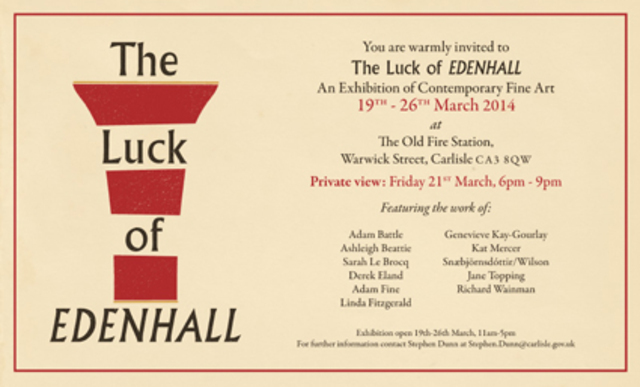 [Show/Exhibition] In: The Luck of Eden Hall, 19-26 March 2014, The Old Fire Station, Carlisle, UK. Group exhibition curated by Linda Fitzgerald. Snaebjornsdottir/Wilson's featured work: Safe Passage to the Promised Land.